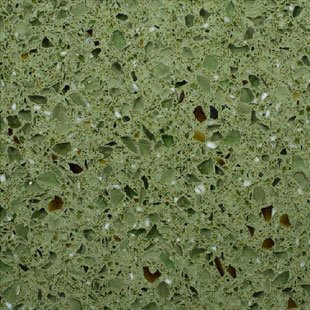 Kitchen and Residential Design: IceStone recycled glass counters... cool! 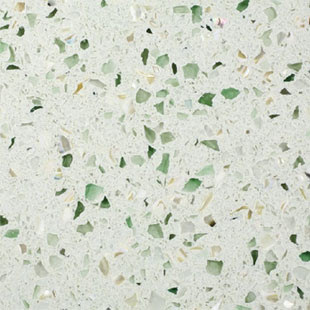 IceStone is a Brooklyn-based manufacturer of recycled glass and concrete durable surfaces. For most people, a durable surface is another name for a counter. 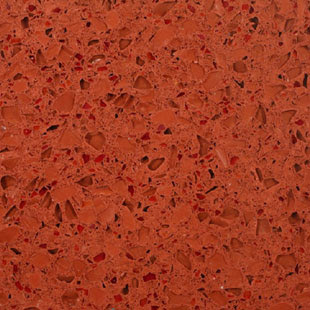 It needn't stop with counters though, IceStone can be used as flooring, shower enclosures, back splash or for any other purpose where there's a need for a durable, water- and stain-resistant surface. 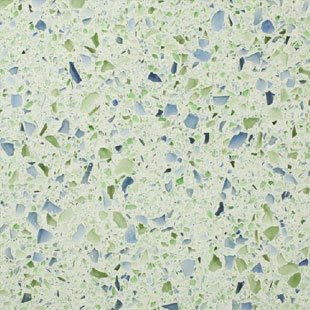 New York – IceStone, the NY-based maker of green, durable surfaces used for countertops, bar-tops, bathrooms, flooring and other applications, announced today its achievement as the first and only surface manufacturer to receive the prestigious Gold level, Cradle to Cradle certification. Given by McDonough Braungart Design Chemistry (MBDC), this certification shows that IceStone’s company and products have passed stringent manufacturing standards that measure toxic ingredients, emissions levels, water and energy usage, renewable investments, on-going data collection systems and recyclability, as well as a code of corporate ethics and labor standards. 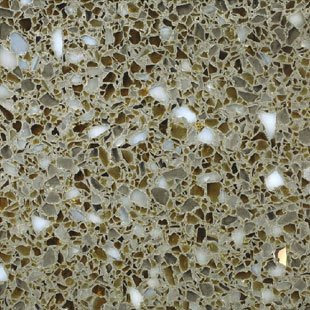 IceStone looks like quartz composite. 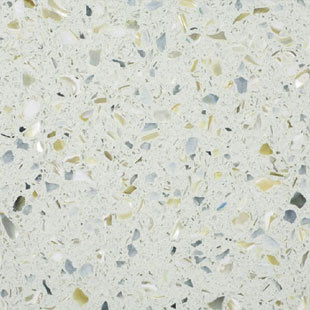 Actually, quartz composite looks like terrazzo, and terrazzo is exactly what IceStone is. 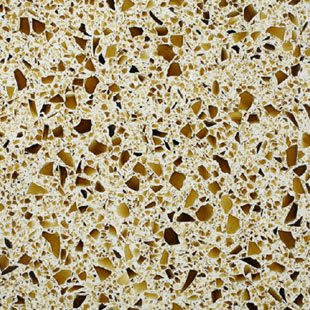 IceStone's use of cement rather than the polymers used in quartz composite is the key to its status as a sustainable product, though their use of 100% recycled glass doesn't hurt either. IceStone looks pretty cool, I like how it shows and I like the fact that it's a sustainable product. In the market for a durable surface? Take a look at IceStone. LOVE IT!!! I first saw glass & concrete counter tops on "Living With Ed". And you know if Ed Begley uses it, it has to be good for the environment -- the man pedals a bike to make toast!! I'd love to have glass & concrete counter tops in our kitchen. If I can juts convince my hubby!! It's definitely a great idea whose time has come. I haven't seen it installed anywhere yet though. Have you? I wonder if any of these companies allow you to order samples of their products.... I'm going to look into that. Now Vetrazzo is one that I've seen before. I wrote a post about their stuff about a year ago. They make a counter out of green Coke bottle glass that I love. Concrete Ideas is a great website and resource. Thanks for that. I'm writing about Trespa TopLab tomorrow. 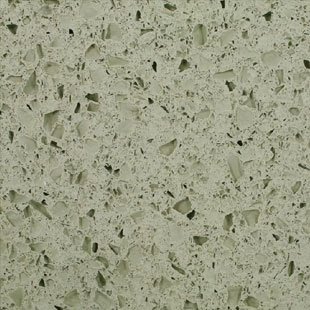 It's another cool, sustainable counter material and it sells for $15 a square foot if you can believe that. Stay tuned! 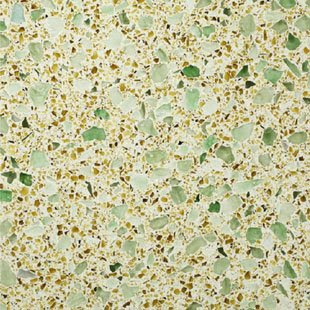 FYI, Rinato is another line of recycled Glass and cement countertops. They are out of Chicago, so a great source for the midwest. The Rinato color pallet is just as stylish as these other lines and most are 100% post-consumer. Rinato is indeed some interesting stuff. Can you send me some more information on the product?